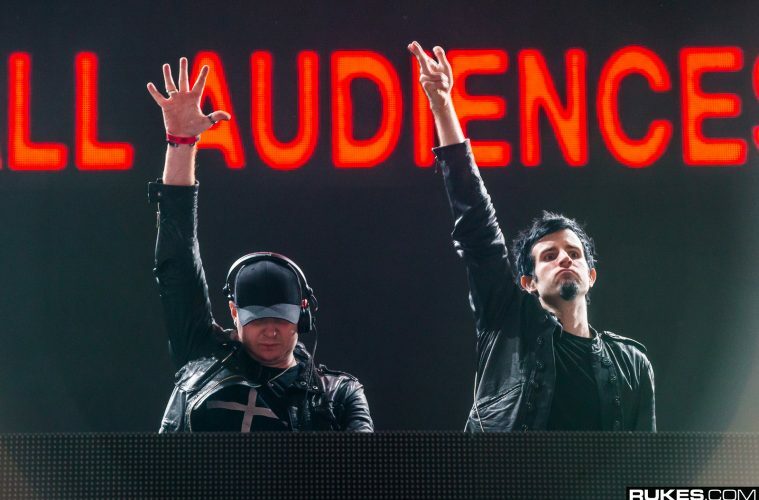 Whether you’re a diehard Knife Party fan, or simply an electronic dance music enthusiast, you are more than likely aware that the Australian duo has been hard at work promoting The Reworks. What some may be surprised to know is that a forthcoming Pegboard Nerds and Knife Party collaboration has recently been dropped, and it’s going to leave you wanting more! Although the new ID may have been played during Electric Daisy Carnival, there weren’t any clips to prove it. This time around, someone was able to record a quick video and we can’t thank them enough! The fresh Knife Party collaboration showcases their electro house vibes beautifully. In addition, Swire’s vocals have been altered to add the ever-present suspense until the killer drop gets unleashed. Dedicated followers have been patiently anticipating more information, including the official track name and release date. In the meantime, we will all have to be satisfied with the clip.